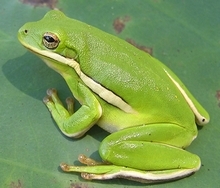 Most biology classes will have some form of dissection – the frog is the most common. However, if you do not do an actual dissection, many of the sections below contain links to virtual dissections and image files. I also have resources at anatomycorner.com for classes that are focused on human anatomy and cat dissections. Frog Dissection: Complete Guide – includes external anatomy, mouth, and the organs of the abdominal cavity, download available in pdf and google doc.